Super excited to see Qualtrics move into their new space and get all set up for their 800 wonderful employees that work here! No detail was overlooked in this incredible design that keeps Qualtrics growing on. The 165,000 SF office space features many conference rooms, kitchens, workspaces, offices, full gym and yoga room, kids playroom and much more! Lucid Software – 10355 S Jordan Gateway, South Jordan, UT 84095 This 360,000 RSF of class A office space sits right off I-15 and has close access to the UTA TRAX. 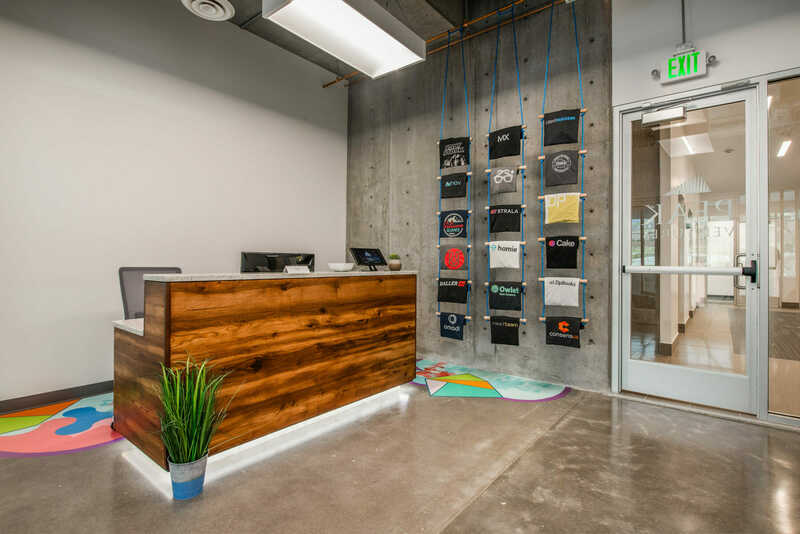 Features of this space include an onsite cafe, stunning views of the Wasatch mountains, an exercise facility with lockers and showers as well as structured and covered parking. Podium's new 125,000-square-foot office building in northeast Lehi along the Silicon Slopes corridor. The new Podium headquarters offers employees multiple competitive workspace perks, including a soft-serve vending station, a 2,000 square-foot gym, a pickleball court, multiple spikeball courts, various collaborative spaces and communal gathering places. Check out Vivint’s latest addition to the Utah landscape: A state-of-the-art innovation and recruiting facility nearing completion in Logan. This 41,903 SF masterpiece sits on Utah State’s Innovation Campus and includes a full feature demo home boasting a complete installation of smart home devices. The space also includes a cross fit gym, basketball court and more! From concept to implementation this has been an exciting project to be a part of! Peak Ventures is an early-stage venture fund based in Utah focused on the Mountain West region and has raised a total of $73M across 2 funds. We found a home for Peak Ventures comprising nearly 5,000 square feet of Class A office building in Traverse Ridge Center just off SR-92 in Lehi. This property provides high visibility to I-15, panoramic views of Mt. Timpanogos and Utah County, an onsite fitness facility and direct trail connectivity. Dental Intelligence, creators of the smartest software ever built for dentists, have a new HQ in this 192,000 +/- sq. ft. 6 story and class A building. Modern accents run throughout this beautiful office including floor to ceiling glass walls with incredible views. Location is adjacent to over 80 acres of prime future retail and hospitality amenities. PMI’s new office sits in this contemporary office with a buildout that includes exposed ceilings, polished concrete floors, floor to ceiling glass windows & glass offices/conference rooms. Located in the absolute heart of downtown Salt Lake with numerous amenities in walking distance including direct access to TRAX. Woodley Real Estate has partnered with Cubby's since the establishment of their first store. Cubby's was named as one of the 10 Startups to Watch via Utah Valley Business Magazine. Cubby's is a fast growing sandwich and salad restaurant that uses all the local, fresh, and organic ingredients they can get their hands on. Their food is fresh, delicious, and a must try! Check out these pictures of a few of the locations we’ve helped them get into. DigiCert is the world’s premier high-assurance digital certificate provider and we helped placed them in over 60,000 square feet of Class A office space at Thanksgiving Station that quite literally gets ‘out of the box’ in both look and feel. With all the amenities you’d expect—onsite restaurants, fitness centers, park like setting, shuttle access to FrontRunner, etc—Thanksgiving Station is the perfect place for a large “Build to Suit” or a new 10k SF HQ for a growing company. Entrata is a comprehensive software solution for multi-family housing managers and owners and occupies the entirety of this amazing 4-story corporate HQ boasting 106,000 SF of Class A office space and prominently located at Traverse Ridge with amazing views of Utah County and the Wasatch Front. No details were spared in this buildout from the custom gym, to the glass front offices and the rooftop deck. An appearance on Shark Tank skyrocketed Freshly Picked to a household name synonymous with quality, style, and creativity and we found them a home in just the right office space to match. Freshly Picked occupies nearly 10,000 square foot in this Class A office building located at Thanksgiving Station. You’ll quickly note the details as this building boasts floor to ceiling glass, an unmatched window line, gym, ideal access between two freeway interchanges and door to door pick up and drop off to and from FrontRunner Commuter Rail. InsideSales.com helps the world’s top companies SELL MORE by building better pipeline and closing more of the right deals and we helped them find the ideal location for their team in the Timpanogos Tech Center where they occupy a full floor of this 128,000 square foot office building. The park is the ideal location with easy freeway access and amazing onsite amenities which include: Cafeteria, sand volleyball courts, basketball courts, and a gym with laundry service and all capped off with amazing mountain views. Kickstart Seed Fund has quickly become the most active investor in Utah and is now synonymous with seed capital throughout the region. Their nearly 5,000 square foot office space is a perfect match to their cutting-edge style. Located in Cornerstone I in the highly sought-after Cottonwood Corporate Center this office space is elegant right from the start as you enter the 8,400 square foot lobby. The building features custom stone, wood and metal accents and features and is designed for LEED Silver Certification. Kiln is a coworking community meticulously designed to help individuals and teams elevate their craft. By combining years of industry experience and best practices from all over the world, Kiln creates the optimal environment to help companies grow and we found them the perfect space to do just that. Occupying 48,000 square feet in this first class office building with floor to ceiling glass, offering unmatched window line, unmatched access between two freeway interchanges and door to door pick up and drop off to and from FrontRunner Commuter Rail. Ogio makes the world’s most ingeniously designed, expertly constructed, and technologically unrivaled personal storage products that fuse performance, sports, and lifestyle. This creative concept melded industrial and office uses into a 25,000 square foot signature headquarters in Draper, Utah. The space was nearly double the size of their previous headquarters and was intended to both accentuate their sports-inspired culture and stimulate the creativity needed to reach their peak performance. 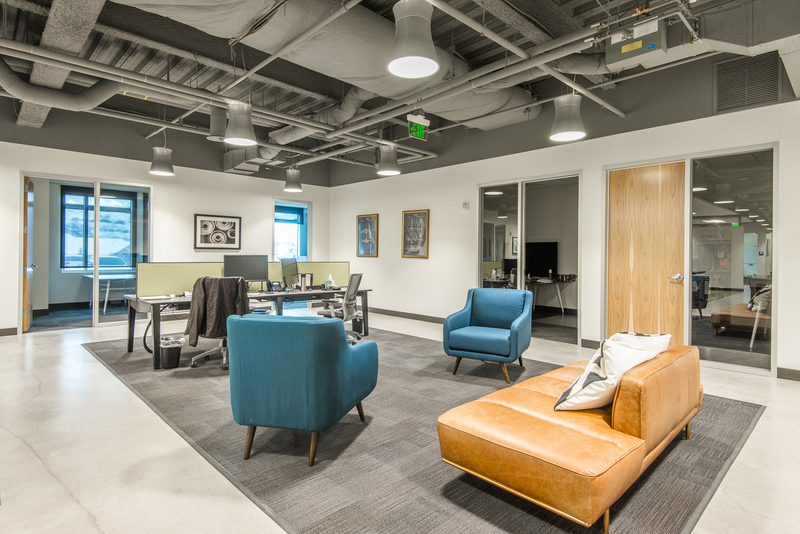 Progressive Leasing recently opened their beautiful new headquarters in the new Vista Station development as the whole-building Tenant in this 150,000 square foot class A office space. Their building is part of an overall development that will include 1,000 residential units, 1.2 million SF of additional office space, and unparalleled transit access. It is directly off of 1-15 and Bangerter Highway and within walking distance of the Draper Front Runner Station. The central location and excellent transportation access will enable businesses to recruit talent from both Salt Lake, Utah, and Weber Counties. LEED certified buildings as well as redundant fiber and power infrastructure make this a foward-thinking, technology-focused, Class A office park. Vivint Inc. is one of the largest home automation companies in North America. Operating from offices throughout the United States and Canada, the company services more than one million customers. The Vivint Innovation Center is located in Lehi, just off of I-15 in Thanksgiving Center. Vivint occupies the entirety of this LEED Silver Certified, 125,000 square foot Class A Office Building where they house 320 employees in engineering, product development, innovation, information technology, marketing and design. A fresh technology interior design is found in the open and well-lit interiors, featuring sixteen-foot exposed ceilings, polished-concrete floors, and a 15,000-square-foot café. Access to the building property includes the Lehi Frontrunner Station, which provides service every half-hour for commuting employees. Vivint Solar provides homeowners with simple and affordable clean energy. Their headquarters building, comprising 150,000 square feet of class A office space, has literally turned heads on I-15. The thoughtful, innovative design has the building tilting AND pivoting, all in the same motion and featuring state of the art details and finishes. Weave is a game changer for high-touch, service-based businesses with their unique platform that combines customer communication with in-depth customer profiles and data into one smart, care-centric interaction on any device. Weave’s headquarters occupies over 60,000 square feet of class A office space. Located in Thanksgiving Station this building boasts floor to ceiling glass, offering unmatched window line, unmatched access between two freeway interchanges and door to door pick up and drop off to and from FrontRunner Commuter Rail. Woodley’s team went above and beyond by not only helping us find and negotiate the perfect place at reasonable terms, but also staying in the mix all the way through build out to make sure that we were happy with the results. They have the experiences of many of both the up and coming and established tech companies on tap, and those learnings are incredibly helpful when trying to navigate the daunting task of moving a growing startup company. We’ll definitely work with them on our next expansion. It wasn’t until I went through the process of finding a new office that I realized how important it is to have a broker in your corner who picks up the phone when you call and who advocates for you every step of the way. Woodley still stays in touch with me to ensure everything is just right, and helped us through a few issues that technically really weren’t their responsibility or problem. They got us in on time and under budget. I highly recommend them. 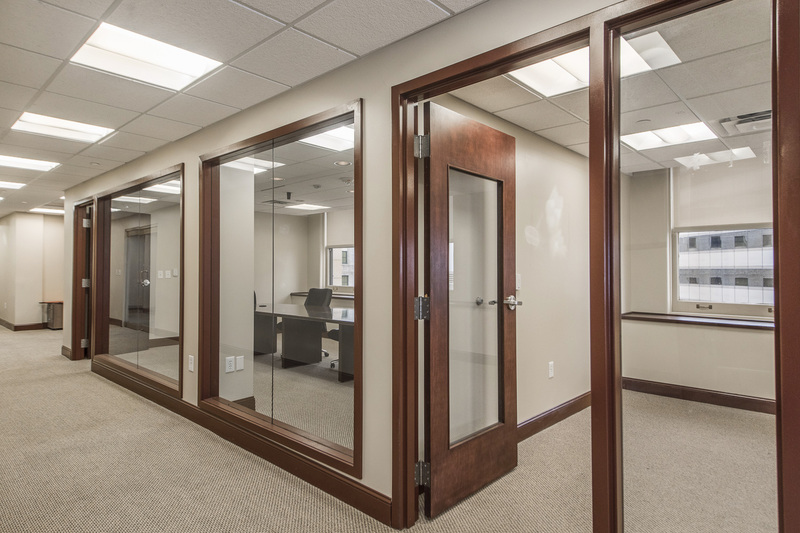 We used Woodley Real Estate to find a larger office space for our growing company. They provided us several good options and helped us narrow the search down to exactly what we were looking for. The negotiations on the transaction went smooth and we couldn’t be more happy with our new office. The Woodley team has continued to stay in touch with us after the lease was signed to make sure we are happy and that everything is going well, which was a really nice touch on their part as it shows they truly cared about getting us into a great space. If/when we need real estate services again, we will use them again without question. I had the pleasure of working with Woodley Real Estate for the past year. They are extremely professional and helped myself and our company every step of the way while we were looking for a new office space for our growing company. Even after moving into our new space they still are very active in making sure all our needs are being met by the building owners. We look forward to using Woodley Real Estate for all our commercial space needs. Woodley not only knows real estate, but also has taken the time to know our business. They are a trusted partner and add tremendous value. We work with their team on both our local and national deals. They were instrumental in securing over 200,000 sq ft for our operation within a ~3 week timeframe (100,000 sq ft within week 1). They work hard and deliver. Woodley has been a remarkable real estate firm. They have helped assist the company I work for in our transition to a long term build-to-suit commercial office solution, that is a perfect fit for our explosively growing company. Woodley is more than an broker, they are a partner, that works hard and looks out for your best interests at every turn. They do what they say they will do, and they instill trust, confidence and assurity throughout the process with their thoughtful consultation and strategic input. Their relationship driven approach and expertise and their craft is refreshing. Woodley is the most impressive real estate firm in Utah. No one works harder for their clients or exceeds expectations quite like the Woodley brothers. They’re the only call I make when it comes to real estate. They’ve been great partners to many Silicon Slopes companies, founders, and executives. I can’t say enough good things about these guys! Woodley got us into an incredible space when it seemed like nothing would work. They are on the ball and definitely fight for you. I’d recommend them for commercial and residential real estate. Woodley Real Estate has helped our company secure over half a million sqft across the country. I have been impressed by their ability to assist with residential sites for new hires, as well as corporate needs ranging from small regional operation centers, to our 300,000 sqft corporate campus. I have leased commercial properties in NY, LND, CPT, TLV, and more and this is the best office I have worked with. Woodley shoots straight, has their fingers on the pulse of the market, and can provide solid strategic insight – and nothing beats the Woodley candor. The Woodley Real Estate team are responsive, professional, and treat you like family. Side Note: The sweets & treats in the office are a nice touch – and a gold star for the swag! We had the pleasure of working with Woodley Real Estate as we searched for a new location for our business. Woodley has truly exceeded our expectations as we partnered with their firm. They displayed a knowledge of the real estate market and were honest and hands-on as they negotiated the best deal in our behalf. They were more focused on giving us good advice than they were on making money. Having worked with many brokers over the years, the things that really stand out about Woodley Real Estate are their depth of market knowledge and their willingness to provide support as we make critical real estate decisions. Class A office space with 18,394 RSF available. Panoramic views of the mountains and valley. Energy efficient design, corporate exercise facility with lockers and showers, floor to ceiling glass and future TRAX access. MarketDial is a Salt Lake City based provider of software designed to bring online-quality tools to brick-and-mortar retailers and we placed them in the ideal creative office space. 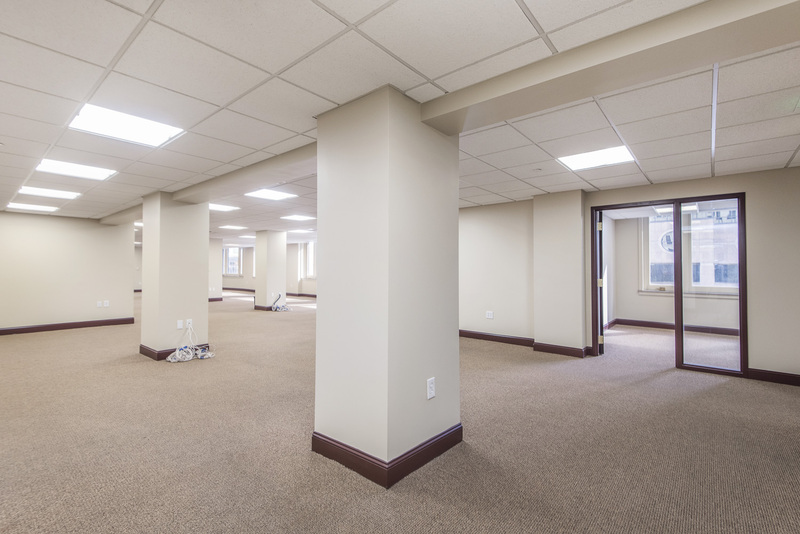 Located just above the Melting Pot, this newly renovated office space features generous ceiling heights, glass front conference rooms, large windows with ample light and downtown Salt Lake City views. This space is located right on Main Street with instant access to Trax and downtown amenities. This lease space is ideally located in the heart of Salt Lake City with quick access to I-15 and local food/shopping. The building has its own private/gated parking lot, roof deck and basement storage space. This is the perfect place for an incredible office space! Great opportunity to sublease a modern office in the heart of Salt Lake City. This open space is walking distance to local shops/food and ideally located next to Trax and I-15. With unbeatable rental rates, this space won’t last long!